I decided that I need a craft storage board for my cottons, ribbons and scissors to get them off my sewing table. Deciding that I can make it myself, I went off to Lowes Hardware and bought a pre-cut board. 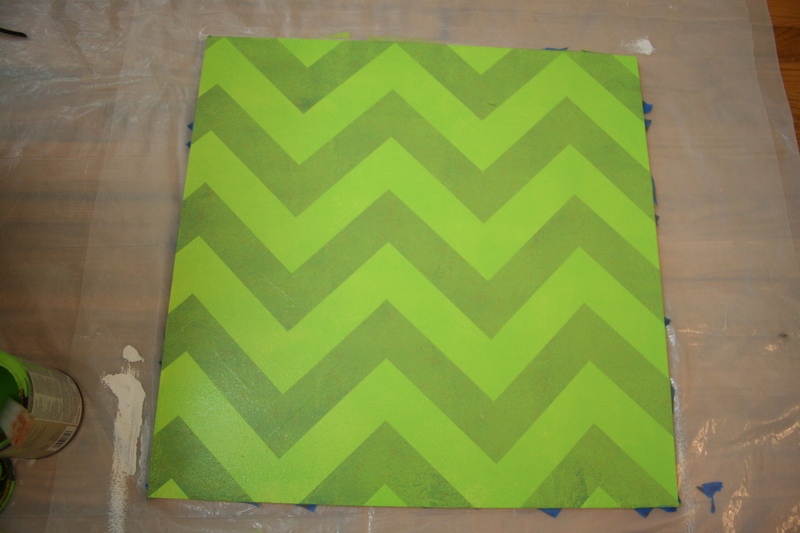 I really wanted a green chevron pattern for the base. I painted the board with a premium white primer (3 coats) and once dried I went about laying the blue painters tape on the board to mark out my pattern. I used my 5 1/2 on square to get the perfect 2 inch alternating stripes. Below is board with all stripes laid down and the first coat of green wall paint. After 4 coats of green paint (making sure it was dry before each application) the green was done. Leaving it to become touch dry, I then removed the painters tape – this is how it turned out. I was very pleased. I will post photos once it is all finished. 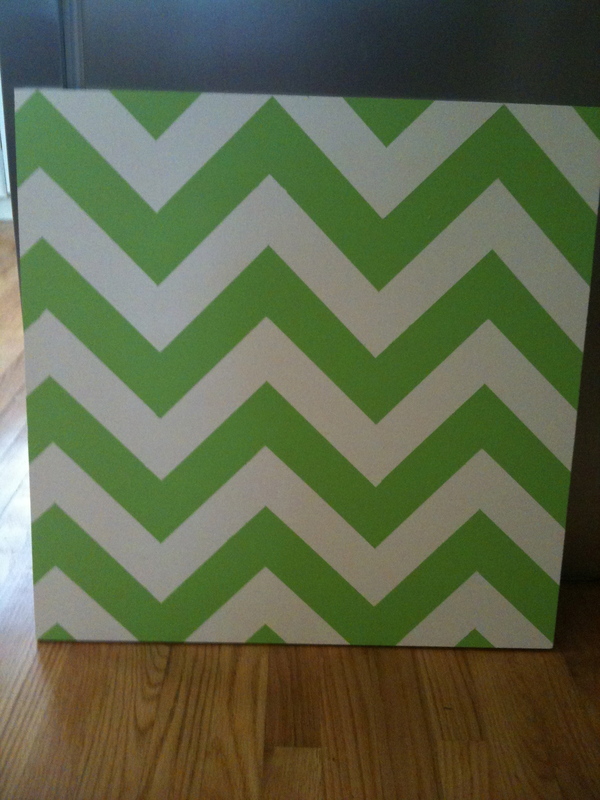 This entry was posted in Uncategorized and tagged arts, board, cotton, craft board, crafts, diy, dowel, green and white chevron, organization, paint, painters tape, ribbon, scissors, storage on November 16, 2012 by mlwilkie. I think it is about 30 x 30 inches….